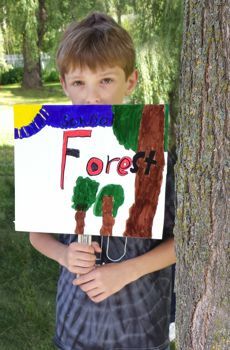 River Grove: A Marine Area Community School is a new tuition-free, K-6 public charter school located in Marine on St. Croix, MN — just minutes north of Stillwater, MN. The mission of River Grove is to utilize the area’s natural resources, history, arts, and civic stewardship of the community as a foundation for the study of language arts, mathematics, science, social studies, physical education, art, and other curriculum subjects. The place-based learning environment will be student-centered, designed by teachers, and reinforced and supported by the local community. A small group of community members in Marine on St. Croix, MN, began discussing an alternate education programming model in the spring of 2015. Letters of intent for the Marine Area Community School (MACS) were submitted to potential charter school authorizers in the fall, followed a formal authorizer agreement with the Minnesota Guild of Public Charter Schools. The school now has formal recognition from the Minnesota Department of Education, who has assigned the school district #4254. Our inaugural year was 2017-18. Input from the school community and broader community continues to shape the vision for the school. Please visit this page for general information about charter schools, and this page for FAQs about MACS in particular.